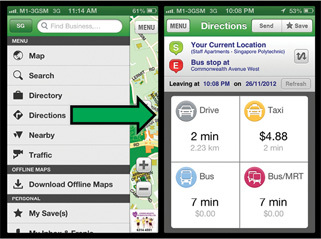 Click "Directions" from the menu bar and you can now travel from point A to B in Singapore by Bus, Car and Taxi. You also get estimated duration and cost of travel. 3. 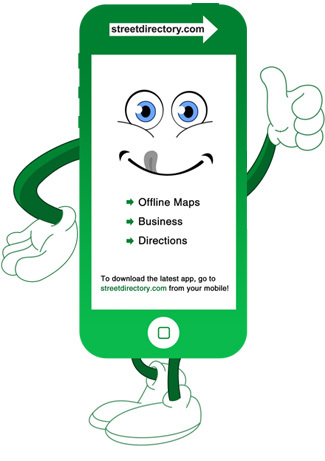 Food & Business Directory all combined into One! 4. Access all your bookmarks and Save's. 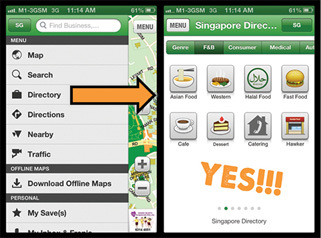 You can see all saved companies and locations. Forget frustrating 3G connections that somehow refuse to work when you need them most. 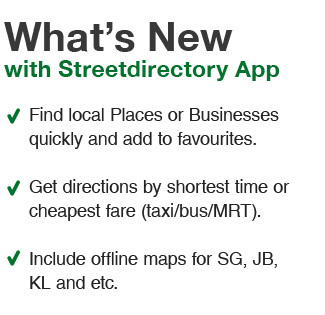 App includes offline map for Singapore, Malaysia, Philippines, Indonesia and Hong Kong. You can easily get around when you are in these countries even without internet access. Happy travelling! . 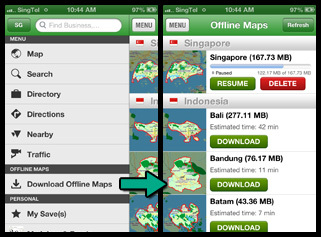 Download this free App Now! 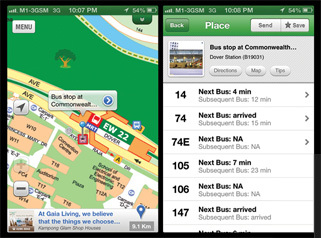 You will never be lost again!